One of the most common things we hear from clients is that they have Google Analytics but don’t know what to do with it or how to get to the right data. We hear you! 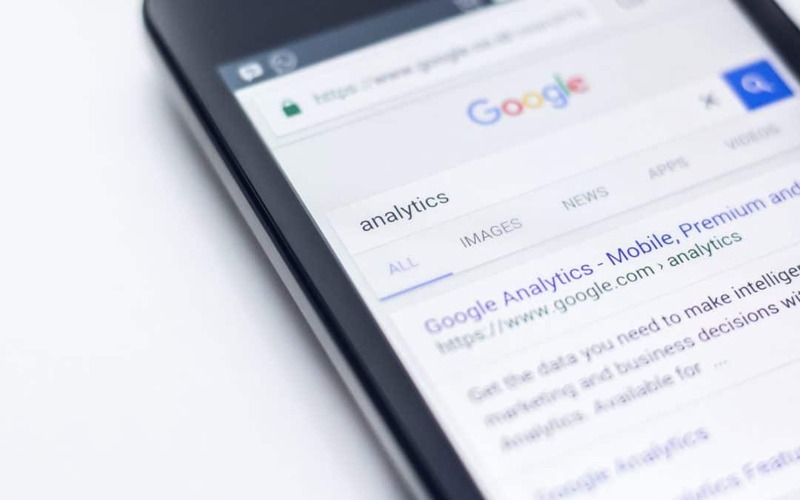 The amount of data available in GA is overwhelming and despite Google’s efforts, it can be hard to find the data you need to answer even the simplest of questions. “How many views did this product page get in December?” might as well be biochemistry to most people. But it doesn’t have to be that complicated! 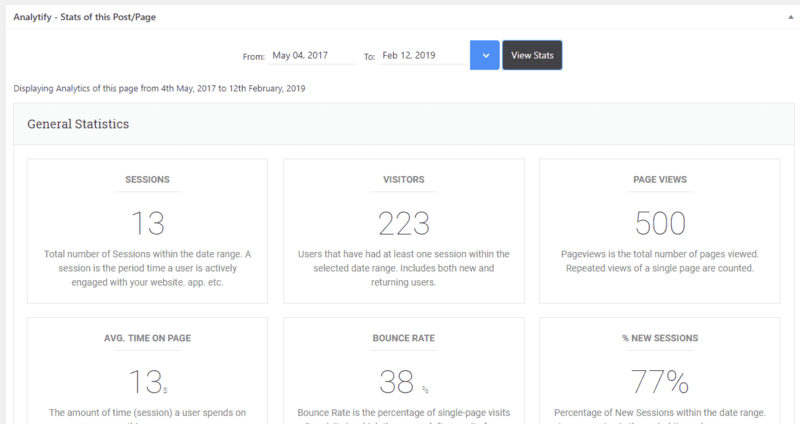 We’ve licensed the Pro version of Analytify for all our clients to bring that powerful Google Analytics data into your WordPress Admin Dashboard! If you’re one of our Managed WordPress clients, you now have a new link in your admin dashboard and on your menu bar for Analytify. 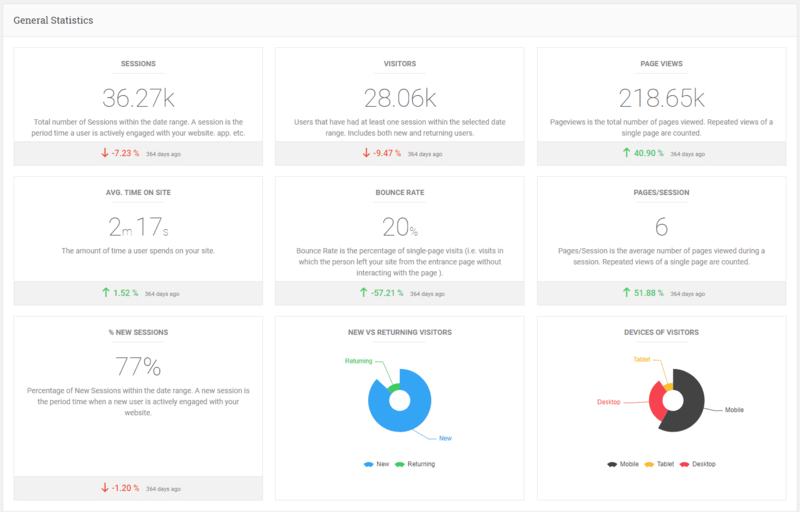 This will take you to the dashboard showing an overview of General Statistics about your site. 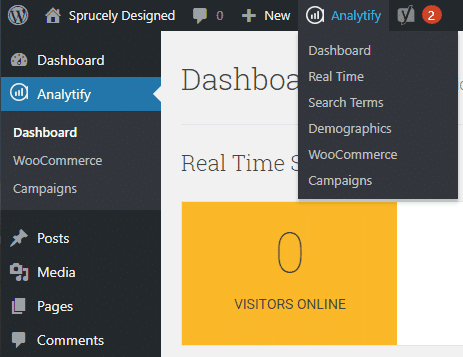 The Analytify dashboard gives you a clean overview of the important data about your site. The hard work has been done for you of pulling out all that data from multiple locations within the Google Analytics tools. Scroll down for more data about top pages on your site, geolocation of visitors, even Social Media traffic! 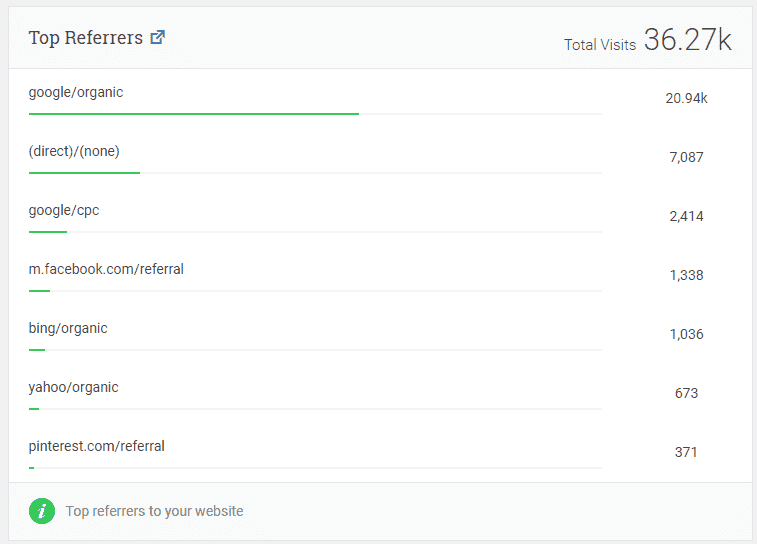 The top referrers report is a great way to see if that advertising campaign, news/blog article mention, or other referrals are working! The best part is that each report has a direct link to that view in Google Analytics to get more detail. This can help you become more familiar with where the same data is available within Google Analytics. There is also an option to export to a .csv file if you need to really massage the data. 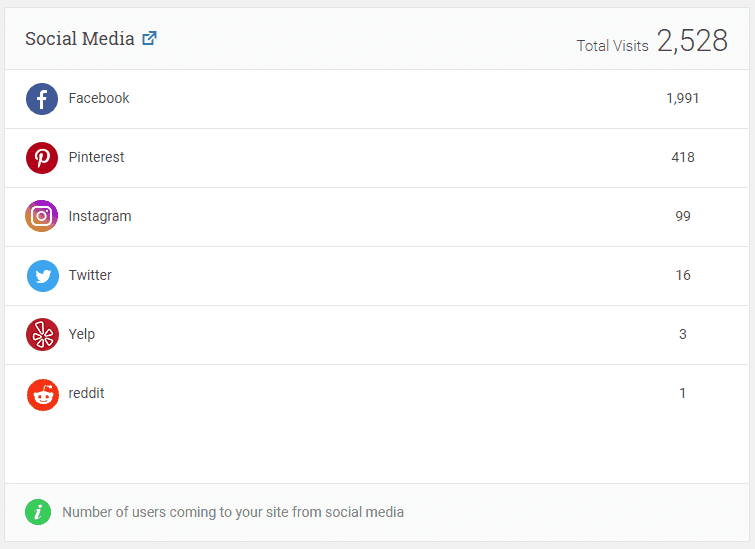 Beyond just the general data about your entire site, each post, page, or product now has a stats box! You can quickly find how popular a given product page is, where the traffic comes from, details about your audience demographics, and more! If you’re already a client on one of our Proactive Maintenance Plans, let me know if have questions about how to utilize Analitify to quickly gain insights into your audience. If you aren’t yet a client, get in touch! See how we can help you gain peace of mind: knowing your website is running its best!